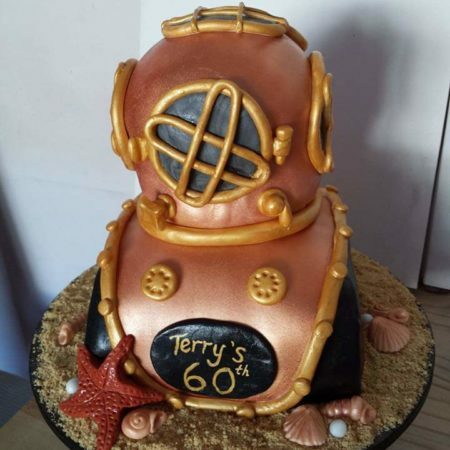 This was a sponge-layered cake shaped like an old-fashioned diver's helmet. The finishing touches, like the seashells and the starfish, were so fun to do and added the extra detail I wanted. Bronze spray was the key to making this look realistic.